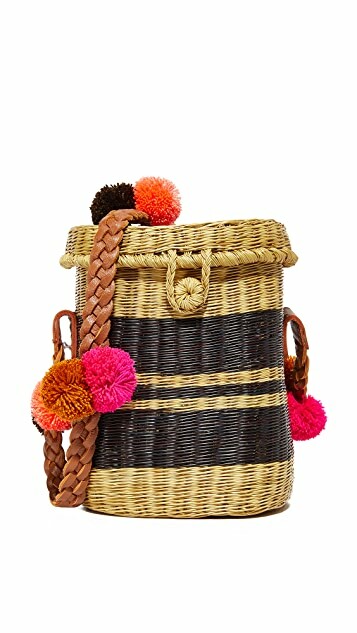 A structured Sophie Anderson basket bag composed of striped straw. A button-and-loop closure secures the top flap. Lined, 1-pocket interior. 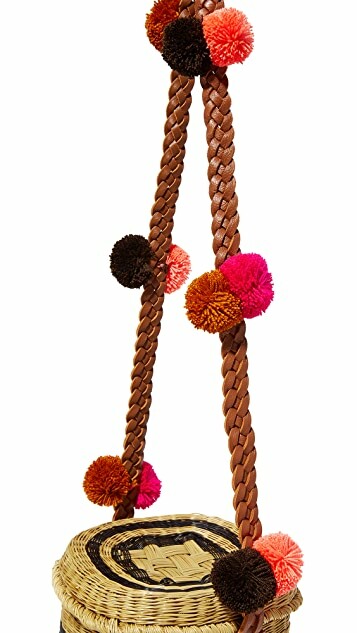 Colorful pom-poms trim the shoulder strap. Dust bag included. While traveling in Colombia in 2011, Sophie Anderson fell in love with the indigenous weaving communities and their beautiful products. After collecting some of her favorite pieces for friends and family, Anderson moved to commission her own exclusive handbag designs--and Sophie Anderson collection was born. 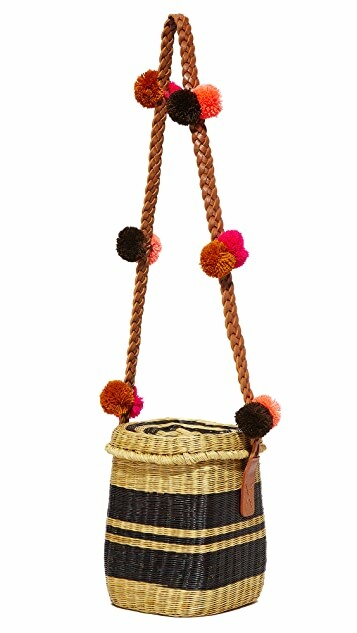 Using intricate techniques passed down through generations, Sophie Anderson bags and clutches fuse the skill of the Colombian Wayuu with the designer's signature style.